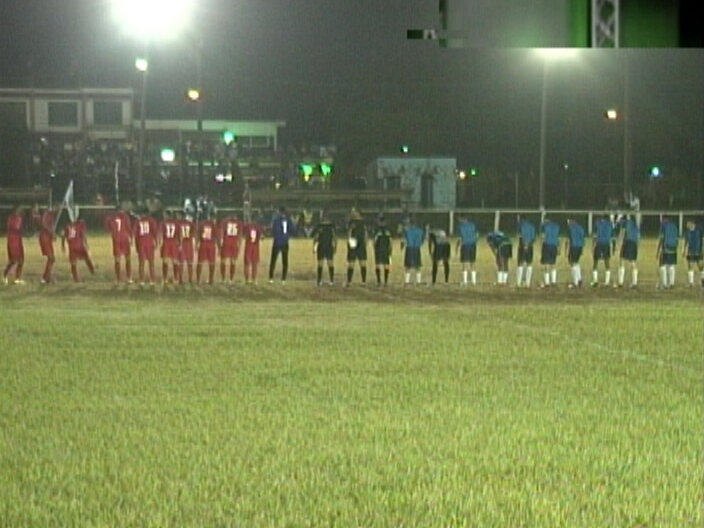 Week 2 of the PLB Belikin Cup found San Ignacio United invading the Isidoro Beaton Stadium Saturday night for its scheduled date with Belmopan Bandits. However, the 1st real chance at scoring comes Belmopan’s way when Brandon Peyrefitte attacks from the right side only to be denied by a mighty stop from goalkeeper Ryan Saravia. Meanwhile the lights inside the stadium went dark some 7 minutes in and the action had to be halted. But the lighting was restored and the referee resumed play after consultation with the captains of both ball clubs. Some 5 minutes later, the Bandits get this spot kick from outside the eighteen and Elroy Kuylen steps up with the left foot that squeezes past the near upright to give Belmopan a 1-zip lead. At the 29th minute, Deris Benavides picks out Elroy Kuylen off this eet piece and Kuylen’s header finds the back of the net for his 2nd goal of the match as the Bandits take a 2-zip lead. Just before the half expires, David Trapp launches this right foot grounder that is denied only by the far upright. And then Deon McCauley fires this half volley that forces Saravia into a big time save. Folks, we’re 6 minutes into 2nd half when Elroy Kuylen picks out Deon McCauley inside the box and McCauley’s header gives Belmopan Bandits a 3-zip lead. Meanwhile, Brandon Peyrefitte has every right to look for a penalty call on this play, but the referee disagrees. At the other end, Joel Guzman presses the San Ignacio attack, beats his man but is taken down inside the box and the referee rightly rules for the penalty kick. Anthony Gonzalez steps up for San Ignacio. Woodrow West makes the initial stop but the rebound reaches Gonzalez who gets his team on the scoreboard with his 2nd attempt. Folks, there is no way this move by Belmopan keeper, Woodrow West, should not have been a yellow card when he crashes into Guzman, but he gets away with it. At the 88th minute, Deon McCauley sets up Elroy Kuylen with this nice touch and Kuylen’s left foot finds the target for his hat which makes him man of the match as Belmopan Bandits post the 4-1 big Win. In other action over the weekend, the B.D.F. marched over Verdes FC for a 2-1 win, while Paradise Freedom Fighters shook up FC Belize in a 3-zip blast down south. 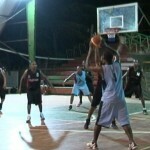 Looking to week 3, on Saturday, Police takes on Verde at Belmopan; 7:30 p.m. is start time. 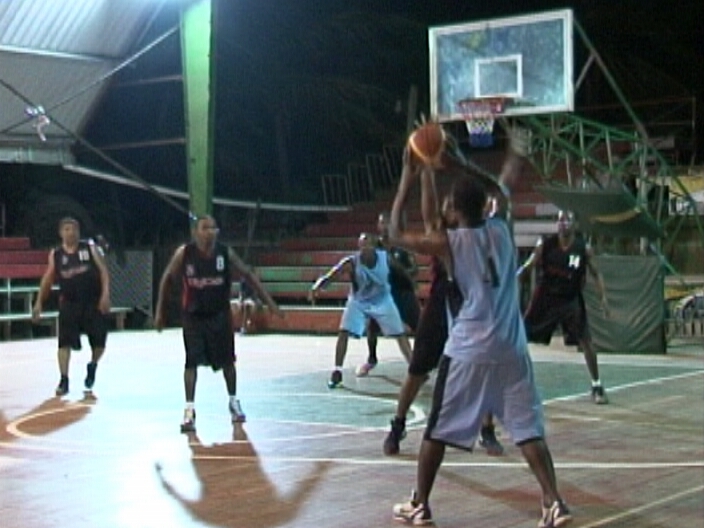 While on Sunday at 3:30 p.m., Paradise Freedom Fighters will host Belmopan Bandits. In news from the 2nd Annual Smart Mundialito, Brown Bombers blanked Hattieville 3-zip, Elite Strikers beat Survivors 1-zip, 3rd World burned Young Stars 1-nil, City Boys beat Belize Elementary 1-nothing; while Ladyville Jaguars and Rising Stars battled to a scoreless stalemate. Turning to the cycling scene, Wilbert Jones won yesterday’s 50 mile A class race with Mark Gentle 2nd and James Frampton 3rd. Mark Reid took the 40 mile B Class with Ashley Meighan finishing 2nd. While Sean Buncan won the C- Class 30 mile race as Stanley Longsworth pulled up 2nd and Nelson Zyden 3rd. 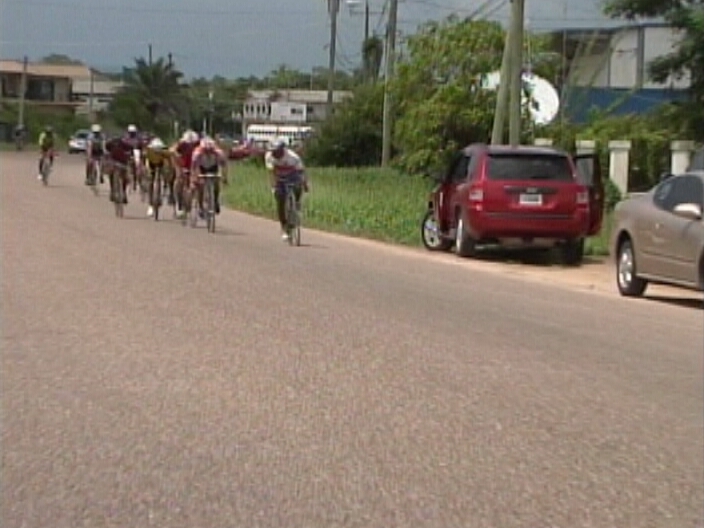 In other cycling news, the BCA presents the 9th annual By-Pass Classic this Sunday in Orange Walk so stay tuned. On the basketball scene, the BDBA Firms playoffs continued to roll at Bird’s Isle so we caught up with the head on clash between Port and B.T.L. Friday night. And we’re underway as AC Augustine jumps against Edward Thompson at the tip off. Devon Lozano gets B.T.L. off to the start going all the way to the glass for 2 of his team high 16 points. Lozano then comes back to snare his offensive rebound and then reverse it off the glass for 2 more points. At the other end, Leroy Forbes deals to Vince Estrada who strikes for 3 as the Port makes a run. That run would conclude with this launch from Charlie Armstrong from half court that drops for 3 and at the end of the 1st quarter, we’re tied at 16 apiece. In the 2nd quarter, Port begins to pull away—Lennox Bowman delivers to Ian Augustine and he hits the triple; he would finish with 7 points, 9 rebounds. Charlie Armstrong then deals to Earl Johnson who goes glass for 2. Johnson would lead all players tonight with a 2 doubles of 11 points, 22 rebounds. On this trip, Earl Johnson hooks up with Lennox Bowman who sinks the triple and would finish with 11 points. And at the half time, the Port leads 39 – 29. Lupito Acosta tries to help his tam with this triple—he would shoot for 11 points. On this Port possession Forbes finds Angus Walla Cherrington and he sinks the long deuce. Port goes on to eliminate B.T.L. in a 65-49 final score. 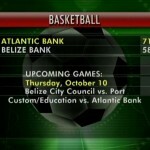 In other action over the weekend, Atlantic Bank sent Belize Bank packing in a 71-58 finish. 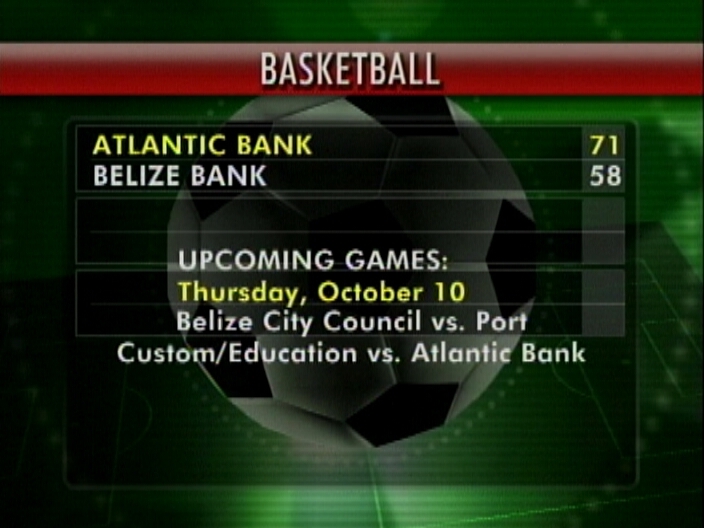 Thus the semi-final round begins Thursday, October tenth with Belize City Council facing Port and Ministry of Education goes up against Atlantic Bank.